Gently rocked by the wind, the corpse sways back and forth. Someone has hung the old man upside down from the Amrum Lighthouse. A short time later, chief detective John Benthien and his colleague Lilly Velasco of the Flensburg criminal investigation unit find the man’s wife murdered as well. She has been nailed to the floor and bludgeoned to death. 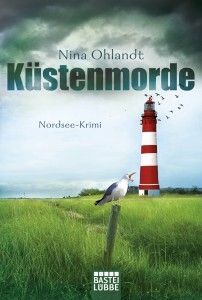 The renowned historian, Klabunde, and his wife had been living in seclusion on the tiny North Sea Island. Who, Benthien asks himself, could have hated them that much? Was it an act of revenge? During the course of the investigation, Benthien stumbles on two further crimes committed 30 years earlier. A child lost in the mud flats and an abused girl in the cemetery for the unknown. It is only when he unexpectedly meets Lone Michaelis, a young female detective from Denmark, that Benthien’s investigation makes any progress. Michaelis is investigating the murder of a retired teacher who was found dead in the town of Skagen – with an extremely lively poisonous spider in her mouth. And all the evidence points to Amrum, where Benthien has the Klabundes heirs under suspicion, namely, the impenetrable Susanne Roloff and the Faradays, an English couple who repeatedly become tangled in contradictions. The encounter with the Danish detective marks a turning point. Benthien learns that the Klabundes raised four foster children, all of whom apparently came away traumatized and have ample reason for revenge. Locating them is difficult, but Benthien is convinced that he will find the perpetrator in their circle.